A campaign has been launched by teaching unions to encourage the government to fund the removal of asbestos in Norfolk schools, due to the high number of schools listed on the council’s asbestos registry. While the council has referred to the Health and Safety Executive’s advice that asbestos does not pose a health risk “when it is intact and in good condition”, the Norfolk branch and district secretary of the Association of Teachers and Lecturers, Bob Groome, has described the situation as “a timebomb that is waiting to go off. Groome encouraged parents to get in touch with their MPs to put pressure on the government to eradicate asbestos from these schools, and suggested that they should also request to see their school’s asbestos register if they were concerned about the presence of the lethal substance. The campaign has also attracted the backing of other local union branches, including the National Union of Teachers and the NASUWT. With the All-Party Parliamentary Group on Occupational Health and Safety having said last year that much of the asbestos in schools was “in locations that are vulnerable to damage by the children”, it is understandable that you may be anxious to ensure that it is not present in your own educational institution. This is why, here at Trident Asbestos Solutions, we are pleased to offer truly cost-effective and thorough asbestos removal services, which involve us working with clients to eradicate asbestos from their properties in a safe and efficient manner. For more information about the asbestos-related services that we provide, please contact Trident Asbestos Solutions today, and one of our trained professionals will be happy to discuss our services and provide a no-obligation quote. Here at Trident Asbestos Solutions, we are sadly no strangers to stories of families left devastated by the harmful consequences of asbestos exposure. Despite this, every such story inspires us to continue striving to provide the very best services – not least surveying and the ultimate removal of asbestos – that could help to prevent future tragedies. 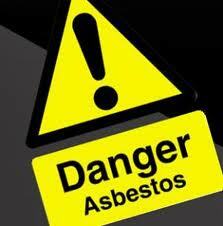 In this instance, a man from Scotland has launched legal action after his mother died from an asbestos-related cancer. Alexander Cuthbert lost his 72-year old mother Martha to mesothelioma in May this year, just under a decade after his father Joseph also died from asbestos-related causes. Alexander believes his father’s death was caused by direct exposure to asbestos fibres while working as a labourer at Colvilles Steel Mill, but the circumstances of his mother’s contact with the deadly substance weren’t evident at first. It was eventually established that her exposure may have arisen from washing Joseph’s dusty work clothes, which is yet more evidence of how easily one can come into contact with asbestos even outside places of industry. While Alexander’s father died from multiple myeloma – a type of cancer that affects bone marrow and can appear at multiple points in the body at a time – Martha died from mesothelioma, a cancer that is directly linked to asbestos exposure. Mesothelioma has an very low survival rate after diagnosis, in part due to its frequent ability to evade detection for decades. Alexander is now appealing for information about his father’s working conditions, which he believes to be the source of his father’s exposure. He stated: “We were just getting over the death of my father when my mother was diagnosed with mesothelioma. I’m still struggling to come to terms with the loss of my mother and need to do something to see that justice will be done, in both their names. To learn more about the removal of asbestos and the related services that our experts can provide here at Trident Asbestos Solutions, as well as to receive a competitive quote, please get in touch with our highly professional and responsive customer service team.